My mission is to promote traditional Chinese Martial arts. I believe in emphasizing the core values of this art by adhering to both the traditional training methods and fundamental principles that make it unique. 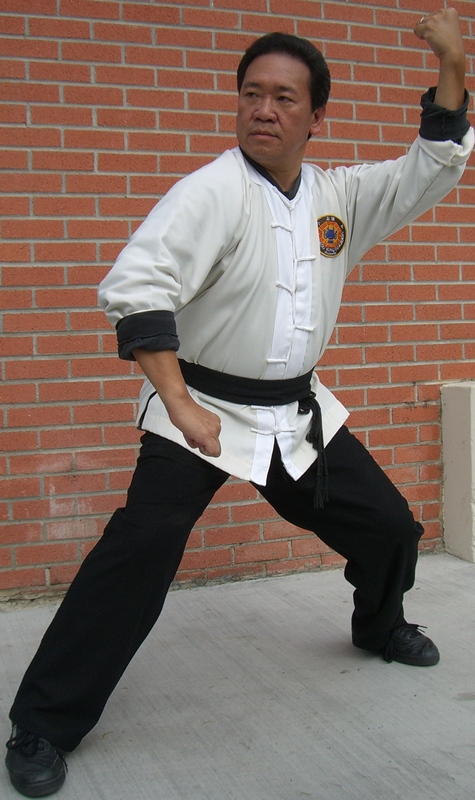 Years ago, I called my school the Jason Tsou school of traditional Chinese Martial Arts. At that time I felt that using the term "Kung-fu" would suggest a narrower focus than the one I wanted to convey. Often people will talk of Kung Fu as being external and contrast it with Taiji or Bagua or other so-called internal styles. I came to the decision that it was important to promote the real meaning of Kung fu which is a process that involves time, effort and discipline (both from oneself and from one's teacher). When Kung fu is understood in thisway, it includes all Chinese martial arts.Kung fu as a process can be seen to apply to most endeavors that have self improve -ment as a goal. As I see it, the distinction between the so-called schools of internal martial arts and external martial arts has more to do with where one begins and not where one finishes. I see the goal of all students as similar in the sense that they need to understand energy, understand their physical/emotional make up and learn to improve their ability to function when in crisis mode. The fundamental prin-ciples I previously referred to, include cultural, philosophical and traditional Chinese Medical concepts. I do not believe that the martial art itself can be fully appre-ciated outside of the culture that gave birth to it. For this reason I want to promote as deep and rich an understanding of this culture as possible. I want to use this under-standing to better appreciate the martial arts involved. Most of my experience is with Northern Chinese Arts. These include Baji, Pigua, Taiji, Bagua, Xingyi, Long Fist, Praying Mantis and Shuai Jiao. What makes these styles similar is their use of footwork, their use of stances as a means of building structure and their reliance on the underlying principles of kung fu- or building from the ground up - to develop their respective training methods. The mind needs to be trained along with the body. Mind training is not just discipline. It involves body awareness and the proper use of imagination. We use the mind to de-velop the ability to con-sciously borrow energy from the environment. I teach the use of Qigong along with other training strategies to better develop these mental components. 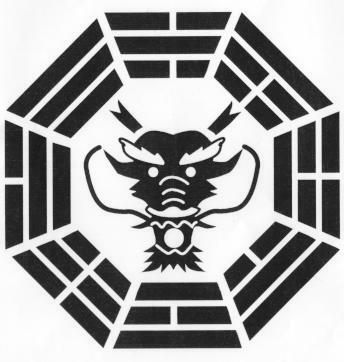 I chose the Dragon within the Bagua trigrams as my logo for many reasons. First of all, the Dragon represents China. Legend has it that an earlier leader first united various tribes that were to com[pose China disputes arose among the people as to which totem would have eminence. The leader solved this problem by creating the dragon with the face of a water buffalo, the horns of a deer, the claws of an eagle and the body of a snake. The skin has the scales of a carp. In other words, the Dragon represents the essence of China as it developed through the mixing of many tribes and people into one nation. This progresses on into infinity. We live in a Taiji world. Our planet Earth has a north and south pole. Yin and Yang is a binary system and as we look at the world around us we can't help but see that so much of our math and science is based upon such a system. Perhaps the best modern day example of this is the computers that we have all come to rely so heavily upon. But the Bagua symbol has a different dimension as well. The premise of Bagua as a martial art is that of change. Acceptance of change as a constant in our lives in a core value accepted by those who aspire to the development of a "constant heart". The constant heart en-ables the martial artist to better cope with any attack while it helps the everyday person to better cope with an ever chang-ing world. Kung fu is the process by which we de-velop our constant heart and it is through our acceptance of change that we learn to better cope with this rapidly changing world.